3 How Can Studying Drosophila Contribute to Our Understanding of Human Mitochondrial Diseases? 1 What is Sleep, and What Controls Sleep? 6 Are Glucose and Trehalose Metabolism Regulated Independently in Drosophila? 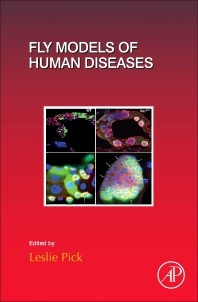 Fly Models of Human Diseases provides users with a comprehensive survey on fly models of human diseases in the field of developmental biology. It is ideal for researchers in animal and plant development, and for students and professionals working in a variety of fields related to the topic.